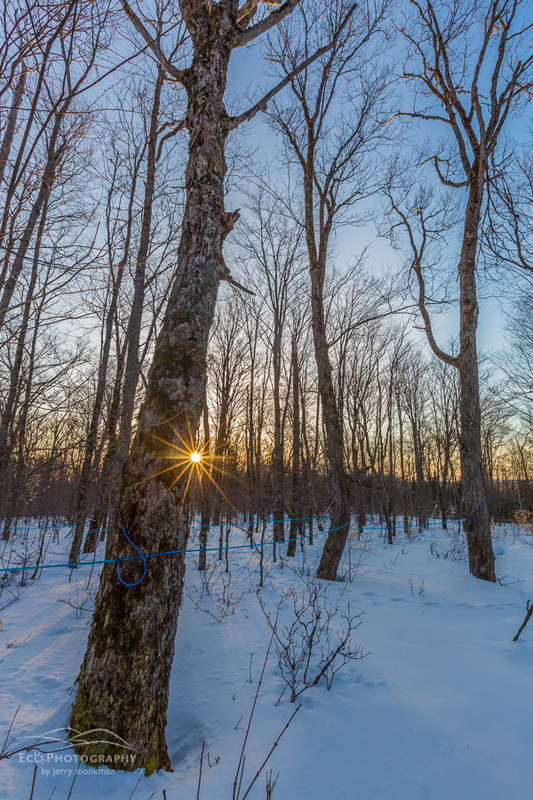 Plastic tubing is strung between sugar maple trees to transport sap to a central location for boiling. Big Six Township, Maine. his prpoerty has more than 300,000 maple syrup taps and produces 3 – 4 percent of the US maple syrup crop. This was the busiest week I’ve had since getting back to work last fall. I spent Monday – Wednesday shooting some photos for a conservation project in a place called Big Six Township, Maine. Big Six is located on Maine’s border with Quebec, about an hour Northeast of Jackman, and it’s actually easier to get there from Quebec than it is from Maine. My client on this project, The Trust for Public Land, is working on securing a conservation easement on this 25,000+ acre property that will protect habitat currently used by the federally threatened Canada Lynx, as well as preserving the large groves of sugar maples that have been producing maple syrup for several Quebecois families for more than 100 years. Currently, there are five families using the sugarbushes on the property. Each family has between 30,000 to 80,000 taps, and overall Big Six Township produces 3 – 4 percent of the US maple syrup crop. The miles of plastic tubing running through the woods may no be as aesthetically pleasing as the traditional galvanized buckets, but they do provide a much more efficient system for harvesting millions of gallons of sap. I haven’t had time to review the whole shoot, but here are a few shots to give you a feel for the project. 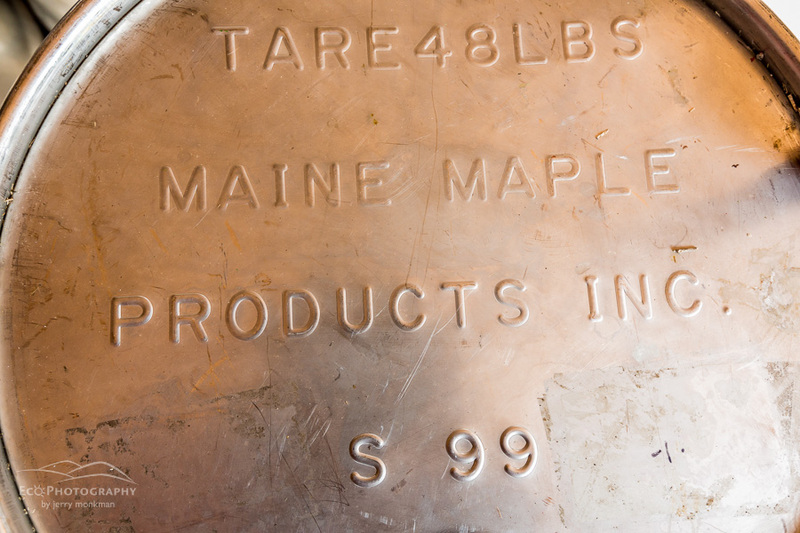 The top of a stainless steel barrel of maple syrup on the LaRiviere sugarbush in Big Six Township, Maine. 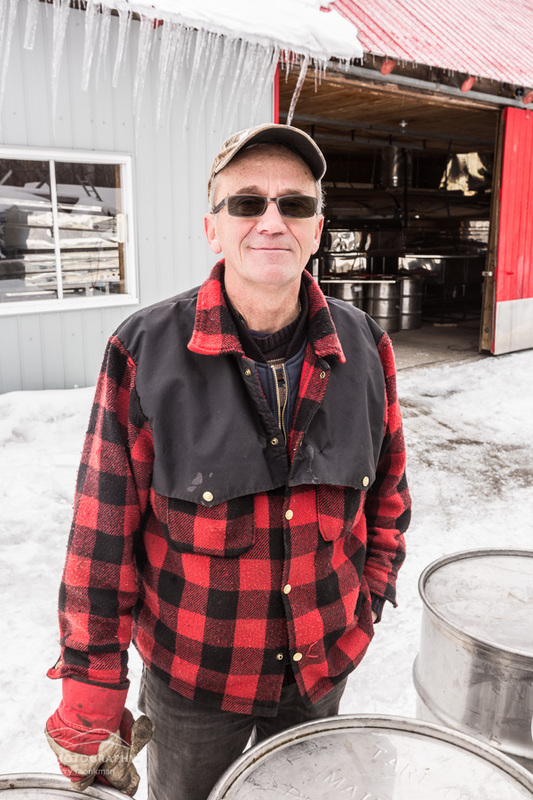 Pierre LaRiviere is a third generation maple syrup producer in Big Six Township, Maine. His family has worked this sugarbush since 1903. After a long drive Wednesday night to get back home, I spent yesterday getting ready for our screening of The Power of Place at 3S Artspace in Portsmouth. We had a great night – another sold out crowd, and this one was filled with familiar, friendly faces. We had a good discussion of Northern Pass after the film, and I’m glad to see people getting interested in this issue. If you’ve yet to see the film, there are upcoming screenings on Earth Day and May 14th – all the details are on The Power of Place webpage.